IT HAS taken 23 years for author, poet, actress and filmmaker Bernice Chauly (right) to complete her memoir, Growing Up with Ghosts. It’s the story of her parents and her ancestors. 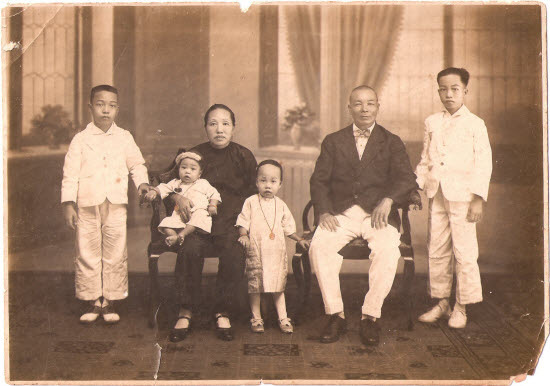 Her mother, a Chinese, and her father, a Punjabi, fell in love and got married despite fierce family objections. Their first child brought peace to the family but then tragedy struck. The 43-year-old author shares some intimate details of how the memoir came about here. What motivated you to base this memoir on your parents? This book is not just about my parents. It’s about the Chinese and Punjabi diasporas and about how my ancestors (from China and India) came to this country. It is 100 years of my family history set against the history of this region. I managed to trace five generations of my family from both sides and I have taken some creative liberties in telling their story. I call it ‘fictive’ autobiography. The book is told in six different voices, so it has many narrators. I wanted to give voices to my ancestors. I have also used existing documents to tell this story. My parents left everything behind, almost as if they were saying: ‘Bernice, here are our letters, our journals, our scrapbooks, our photos, so tell our story.’ And that is what I did. What is the appealing factor of this book? 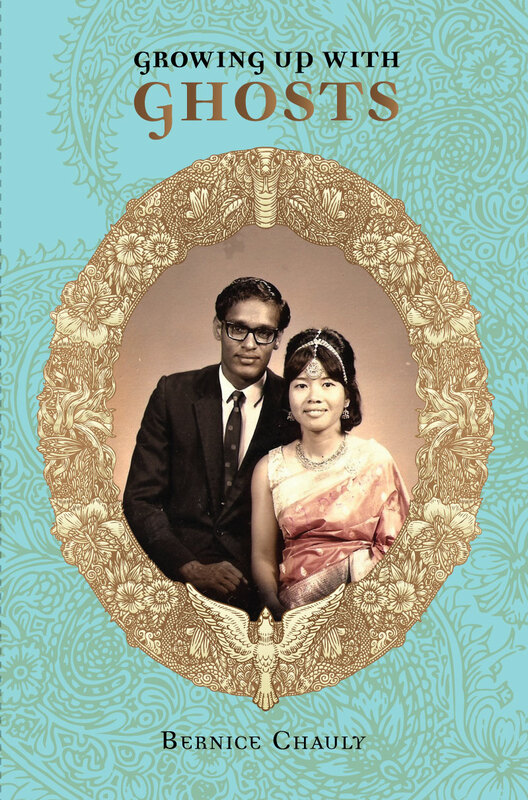 I think many Malaysians will be able to relate to this memoir because so many of us come from mixed marriages. It’s a very Malaysian story. It is about the history (of Malaysia) told by ordinary people. It is about knowing that your ancestors lived through great difficulties – how they had struggled and survived. It is about coming to terms with who you are and about bloodlines. It is also about love, death, grief and acceptance. Tell us the process of writing this book. I knew I would have to write this book since I was young. I started collecting my family stories and writing them down when I was a teenager in university. But the actual writing and structuring of the book began about fours years ago. It was my mother’s death in 2007 (she died at the age of 66 from cancer) which propelled me to finish it. After her death, I went to Verka in Punjab, India, where my father came from, to get answers that I needed for the book. I spent two weeks in India, and I came back a different person. What motivated you to be a writer? I lost my father when I was four. We were swimming in the sea at Miami Beach in Batu Ferringhi, Penang. He drowned in four feet of water. He was a good swimmer and he was only 33. Death does many things to you. It takes away the people you love and mortality hits you in the face and you really don’t take time for granted. My dad’s death made me a writer. His death evicted me from the world. I had to find myself in the world again and words were all I had. I had to make sense of what’s happened. I had to confront myself in many ways. It was not easy but I had to do it. All my writings – my poems, my short stories and even this memoir – were a part of this process. Since you are a filmmaker too, do you plan to turn this book into a movie? We shall see (she smiles). Growing Up with Ghosts, priced at RM40, will be launched on Aug 23, after which it will be available at all major bookstores and Amazon.com. I read your book just recently (found it in Popular at IUtama) and then posted it to my sister in Australia to read. A bloody good read. Aspects of your book especially the connection of two cultures in marriage really made me feel respect for your parents desire to connect. I had presumed in this era of 2011, that an Australian and a Malaysian Chinese would find this easy but sexuality clouds the race and culture issue. Connecting Melbourne families, who accept a gay son, brother and uncle, with an Ipoh family who see the bond as work of the devil and karma paying them a visit has been the most difficult 4 year chapter in my life. Anyway, your book really got to me big time and I thank you for that. TQ for the book. It was very much enjoyed by someone (me) who has never finished reading a book before. A first! And I enjoyed every spell binding moment. Are there any more datelined? Bernice, I was instantly drawn to your parents’ wedding photo on the cover of your book and bought several copies to be given to my younger brother and my classmates. How could I forget the faces that had influenced my life for two years, 1968 and 1969 ? Your father was my Form 5 Science teacher and while your mother taught me Mathematics in Form 4. When My Surrinder Singh became Mr Bernard Cauly, we were puzzled but our young mind never questioned. He was a very cheerful man . I was amazed by his ability in javelin throwing which none among us could beat his record ! Your mother was soft spoken and could be a bit melancholic sometimes. Nevertheless, they were good teachers. I saw you many times as a toddler. Your mother used to push you in a pram in the late evenings along the road in front of the school leading to the HM, Mr S A John’s house. and a row of teachers’ quarters. My friend and I used to go the blue house with a Ford Cortina directly opposite the school in the afternoons for Mathematics tuition from your mother. She taught us in between attending to you. Your book stirred up my soul and brought back fond memories of my teachers. Thanks for your painstaking research and very innovative was of presentation which makes reading a pleasure. I was transported from China to Punjab and them back to Malaysia many times. The photos are demanding but then it was not the digital age. The names in your parents’ letters are also very familiar to me, especially Mr Muthu, Mr Wan Hassan and Mr Daljit and a few others. Nothing crossed our young minds at that time that our teachers were going through such turmoil in their adult life. Knowing it now at 59 makes me appreciate them more. Take care. Write more. Thank you. Leave a Reply to Sel Click here to cancel reply.